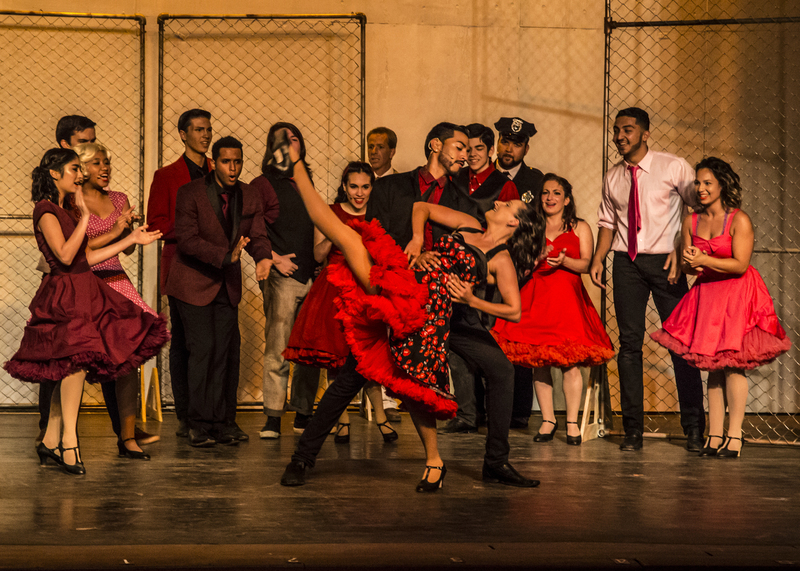 An exquisite, romantic night under the stars – where better than to see the classic urban love story, West Side Story? I’ve had the pleasure of experiencing this timeless Romeo and Juliet-inspired tale numerous times on professional stages and I can say that the exuberant troupe at Musicals at Richter did a fabulous job in creating their own bold iteration in Danbury’s beautiful Richter Park. Conceived by Jerome Robbins who also did original choreography, with an incredible book by Arthur Laurents, and music and lyrics by the inimitable team of Leonard Bernstein and Stephen Sondheim, respectively, this gritty, high-energy production takes place on the streets of NYC’s Upper West Side in the mid-1950s where rival gangs – the Jets, a white gang, and the Sharks, a Puerto Rican gang – each struggle for control. Tony and Maria, who are from opposite sides of the turf war, fall in love amidst the prejudice and tension, and ultimately are torn apart by the gangs’ hatred for each other. There still remains resonating and relatable relevance to many of today’s social ills. After a tussle on the streets, the gangs challenge one another to a rumble following a dance at a local gym. While at the dance, and despite the underlying rivalry, it is love at first sight for Tony, the former leader of the Jets, and Maria, the younger sister of Bernardo, the leader of the Sharks. Their attraction is so strong and their youthful naivete so great, however, they believe they will triumph in shutting out the world and being together. This young ensemble cast excellently directed by Michael Limone brings the moving and powerful story to life with poignancy and immediacy. Steven Moores is full of hope and sincerity as the mature and lovestruck Tony. Songbird Juliet Dale’s Maria is portrayed with incredible depth and emotion. The two have exceptional voices and their stage chemistry is palpable. Sergio Mandujano is commanding as the tough, proud Bernardo. Lauren Nicole Sherwood is feisty and strong as Anita, who goes toe-to-toe with her man, Bernardo, while remaining loyal to Maria. As Riff, Brian Bremer is confident and determined. Nathan Clift is terrific as the fireball, Action. The rest of the Jets , Brian Salvador as Baby John; Andrew Kocur as Snowboy; Noah Matson as Diesel; Will Armstrong as Big Deal; Brian Hinger as Tiger; Jack Armstrong as Gee-Tar; and Jacob Schultz as A-Rab round out the wonderful ensemble. Emma Burke-Covitz as Anybodys also is great as the tomboy tagalong to the boys. The Sharks, the Jets’ formidable adversaries, are skillfully portrayed: Simon Garcia as the gun-wielding and soured loser of Maria’s affection, Chino; Victor Roldan as Nibbles; Tim Sheehan as Indio; Andre Grigorio as Pepe; Matthew Olencki as Juano; Brailyn Rodriguez as Luis; and Elias Levy as Anxious. The Jets’ and Sharks’ female counterparts include, respectively: Lilly Macfayden as Graziella; Elizabeth Koennecke as Velma; Emma Giorgio as Minnie; Jillian Fredette as Clarice; Abigail Heiden as Pauline; and Olivia Cotter as Margaret; as well as Christina Kompar as Rosalia; Teah Renzi as Consuelo; Kristyn Vario as Francisa; Cassidy Holmes as Teresita; and Bonita Gregson as Margarita. These ladies bring the perfect female balance to the mostly male tale. The simple sets were enhanced by lighting and with the use of mostly chain-link fencing to set both tone and place, transforming Richter’s stage into the tough streets, the bridal shop, the gym, Doc’s drugstore, Maria’s bedroom, and more. Shout outs to Jake McGuire as Technical Director & Set Designer, and Michael Limone and Mike Campbell for lighting design. A huge hand to the terrific and essential musical accompaniment, directed and conducted by Zachary Kampler: Steven Fasoli, Reed 1; Ray Conetta and Bruce Kimball, Reed 2; Jim Thoensen and Robin Rockwell, Reed 3; Elizabeth Dandeneau, Reed 4; Daniel Curtis and Alexander Berman, Reed 5; Justin Chiola, French Horn; Josh Meade, Joseph De Rocco, and Phil Kozan, Trumpet; Erik Selmquist and Rory Callaghan, Trombone; Allegra Pin, Drum Set; Douglas Chew, Auxiliary Percussion; Jessica Punchatz, Piano; Chris Burkhalter, Bill Romanello, Serena Jankovic, Angelica Jara, and Heidi Ohngemach, Violin; Scott Benson and Dylan Costa, Cello; and Charles Casimiro, Double Bass. Kudos to Jimmy Locust as Choreographer who brought out the best in this young talent; Liana Martine as Assistant Choreographer; and Limone who also did fight choreography. Kudos to Joyce Northrop, Producer; Katie Giradot, Stage Manager; Lauren Nicole Sherwood for costume design (provided by DivaStar Productions); Northrop as Seamstress; Victoria Meskill as Props Mistress; as well as the rest of the production staff, too numerous to name. West Side Story is a classic that truly should be treated as such. Musicals at Richter does an excellent job in bringing the intimate piece to Danbury but not for much longer. Catch it while you still can! Where better to hear an iconic song like “Tonight” than out under the stars? 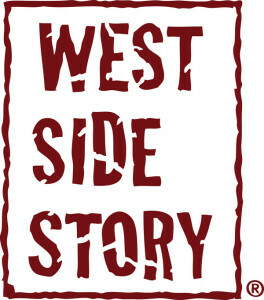 Where better to see an iconic play like West Side Story than in an outdoor theatre like Richter? Props indeed must be given to Richter for endeavoring to do one of the most popular shows of all time. But to do it and to do it well should rank with one of the labors of Hercules. Richter’s West Side Story was thoroughly engaging and entertaining. There was not a weak link in the fences that they used as set pieces (pun intended). That being said, here’s the problem with taking on a demanding show like West Side Story. If you don’t have the money or budget to mount an extravaganza (and you don’t want it to end up like a bad high school production) then you better think out of the box and come up with some amazingly innovative ideas to pull it off. Fortunately, Richter had veteran director Michael Limone, experienced choreographer Jimmy Locust, excellent musical director Zachary Kampler, and a great orchestra. Add to that a talented, enthusiastic cast with great singing voices, and you’re halfway there – as the song “Somewhere” tells us. Without giving much away, let’s look at some of the ways in which these talented individuals used ingenuity to pull off the production. First is in set design. Stationary chain link fences were, for the most part, among the few pieces that were used; yet they were enough to conjure the image of playgrounds and the streets of New York. The stage itself had a completely white backdrop where lighting (like paintbrushes dipped in a multi-colored palette) created the tone and setting of each scene – an ingenious way of using a minimalist set to get the most leverage possible in doing a complex, multi-layered show like West Side Story (thanks Michael Limone and Mike Campbell for lighting design). 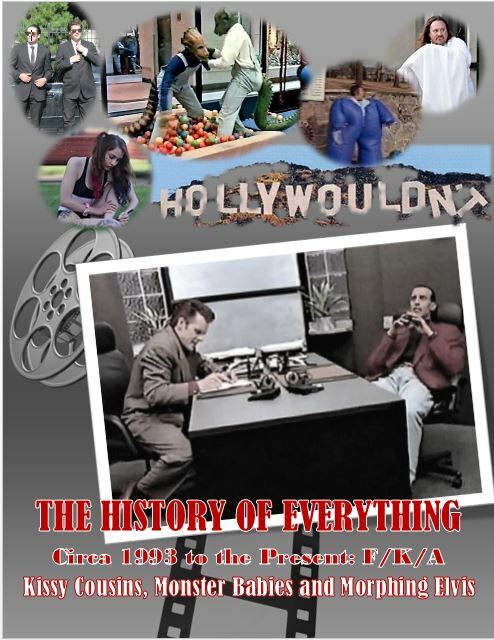 The talented cast worked extremely well together. 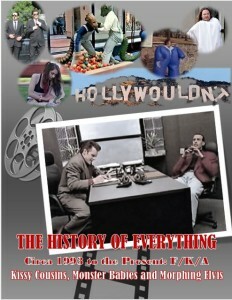 The large cast makes it impossible to comment upon and analyze the work of every individual actor. Suffice it to note that they worked as fluid ensemble that enabled the actors to support the performances of each other and the themes and motifs of the play. Nevertheless shout-outs must go to the following principals for their spot-on performances: Sergio Mandujano (Bernardo); Steven Moores (Tony); Juliet Dale (Maria); Lauren Nicole Sherwood (Anita); and Brian Bremer (Riff). To paraphrase the Director’s Note, as day became night and we settled into our comfortable chairs at Richter we were transported via the magic of live, outdoor theatre – to a different time, a different place, but where the issues and problems are no less relevant. Thank you, Richter, for this magical journey.